November’s numbers are in from the Charlotte Regional Realtor Association, and Charlotte’s housing market continues to boom with lots of activity. Home sales soared with a jump up 19.7% from November 2015. 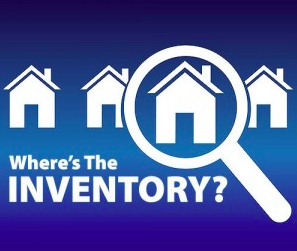 Inventory continues to struggle to keep up with demand, and prices are on the rise. Furthermore, mortgage rates are also on the rise, so buyers were moving quickly last month to close on their homes to avoid the increasing rates. The near 20% increase in year-over-year numbers for homes sold in November meant an additional 522 properties closed last month . In addition to the number of home sales jumping, sales prices also rose by 8.1% as compared with November’s numbers from 2015. Rising home prices can certainly be attributed at least in part to low inventory. November’s inventory for Charlotte as a whole dropped to a 2.6 months supply represented by 9,770 properties for sale. Lake Wylie’s year-over-year months supply of inventory dropped to 3.3 from 5.2, which is a 36.5% drop in inventory. The average sales price of homes in Lake Wylie is up 16.6% for November from 2015. York County’s inventory is also down this year with 2.3 months of inventory in November, and so is Fort Mill’s inventory, down to 2.1 months. Nationally, mortgage rates are on the rise, and local trends reflect a steady drop in inventory as well as an increase in home prices. Stay tuned for what’s to come in December, when market activity is expected to stay active.